Christopher A. Stephenson is the author of Types of Pentecostal Theology: Method, System, Spirit. The book appears in the Academy Series, published by Oxford university Press and sponsored by the American Academy of Religion. It is the first critical study of the most prolific and influential academic theologians of pentecostalism, and it provides insight into such fundamental issues as the relationship between theology and philosophy, the dynamic between scripture and tradition, and the similarities and differences between recent pentecostal theology and other currents in contemporary theology. Originating as a Ph.D. dissertation, the book was distinguished by a grant from the Louisville Institute. Stephenson is currently writing a book on the work of Jesus Christ for Eerdmans’s Guides to Theology series and co-editing a volume on pentecostalism and ecumenism for Brill’s Global Pentecostal and Charismatic Studies series. Stephenson is the founding editor of Peter Lang’s new Ecumenical Studies series, leader of the Ecumenical Studies interest group of the Society for Pentecostal Studies, and a member of the Centre of Theology and Philosophy. He has also published articles in Journal of Ecumenical Studies, Pneuma, Journal of Pentecostal Theology, Religion Compass, and Istina. In addition to theological method and ecumenism, his research interests include pneumatology and the intersections among systematic, spiritual, and liturgical theology. 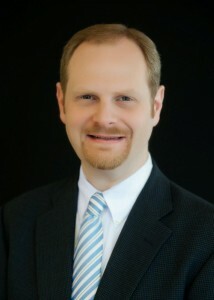 Stephenson is assistant professor of systematic theology at Lee university , where he began teaching in 2008. He and his wife, Lisa, have two daughters, Abigail and Bella.